MANILA, Philippines - American multinational technology company Microsoft officially announced today, June 1 that Windows 10 upgrade will be available in 190 countries starting July 29, 2015. Why Microsoft built Windows 10? "With Windows 10, we start delivering on our vision of more personal computing, defined by trust in how we protect and respect your personal information, mobility of the experience across your devices, and natural interactions with your Windows devices, including speech, touch, ink, and holograms," the company said. Windows 10 is envisioned to run Microsoft's device family including Windows PCs, Windows tablets, Windows phones, Windows for the Internet of Things, Microsoft Surface Hub, Xbox One and Microsoft HoloLens. 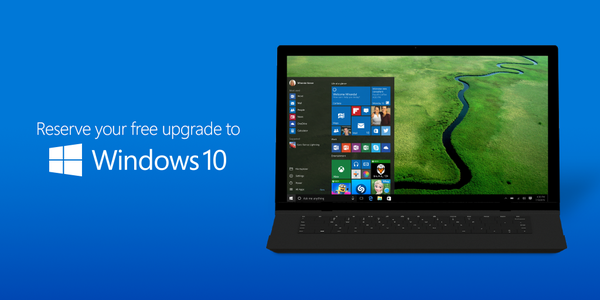 What's new with Windows 10? The upgrade brings back the Start menu and with quick startup and resume. It provides secure platform including Windows Defender for free anti-malware protection. 1. 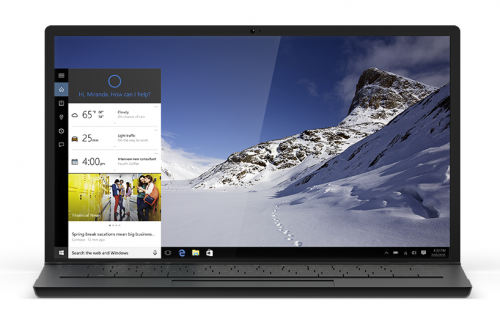 Cortana - the world’s first truly personal digital assistant helps you get things done. Cortana learns your preferences to provide relevant recommendations, fast access to information, and important reminders. Interaction is natural and easy via talking or typing. And the Cortana experience works not just on your PC, but can notify and help you on your smartphone too. 2. Microsoft Edge - all-new browser designed to get things done online in new ways, with built-in commenting on the web – via typing or inking — sharing comments, and a reading view that makes reading web sites much faster and easier. 3. Office on Windows - In addition to the Office 2016 full featured desktop suite, Windows 10 users will be able to experience new universal Windows applications for Word, Excel, and PowerPoint, all available separately. 4. Xbox Live and the integrated Xbox App - bring new game experiences to Windows 10. Xbox on Windows 10 brings the expansive Xbox Live gaming network to both Windows 10 PCs and tablets. 5. New Photos, Videos, Music, Maps, People, Mail & Calendar - apps have updated designs that look and feel familiar from app to app and device to device. You can start something on one device and continue it on another since your content is stored on and synched through OneDrive. 6. Windows Continuum - enables today’s best laptops and 2-in-1 devices to elegantly transform from one form factor to the other, enabling smooth transitions of your tablet into a PC, and back. 7. Windows Hello - greets you by name and with a smile, letting you log in without a password and providing instant, more secure access to your Windows 10 devices. With Windows Hello, biometric authentication is easy with your face, iris, or finger, providing instant recognition. 8. Windows Store - with easy install and uninstall of trusted applications, supported by broad global payment methods. 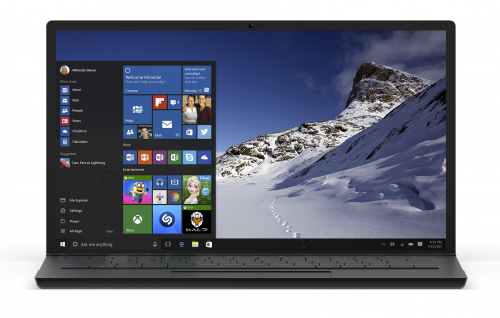 Microsoft said that Windows 10 initial release will be for PC and tablets. It is designed to be compatible with your current Windows device and applications.